September was a busy month for new PC games. These are some of our favorites. 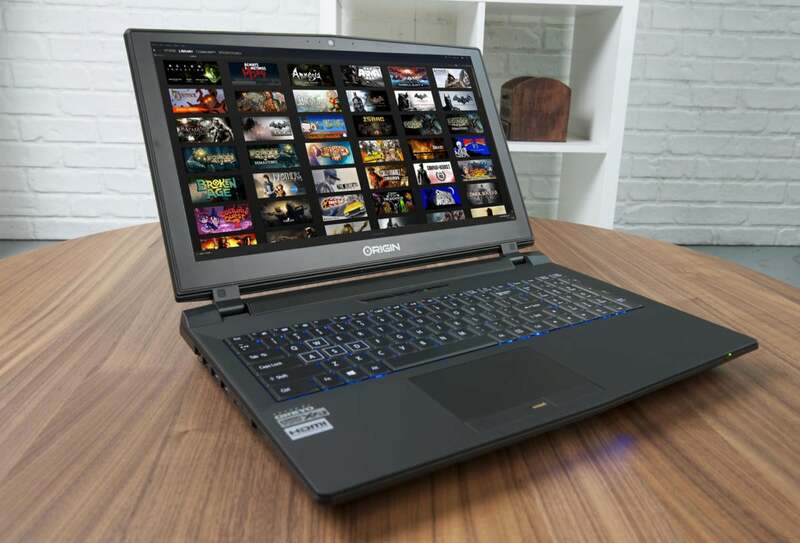 Steam’s on track to add 5,000 PC games in 2017, and I swear at least 1,000 of them released in September. Which is to say: I’m slammed with review codes at the moment. I logged at least 30 different games in my to-be-reviewed chart in September—too many to realistically get through, especially when two of those 30 were Divinity: Original Sin 2 (going on 50 hours at the moment) and Total War: Warhammer II (31). I’ve dabbled in quite a few other titles though, and so this is my compromise: A comprehensive list of September’s best PC games. Sure, the obvious choices are on here, Divinity 2 and Total Warhammer II among them, but hopefully you’ll spot something you hadn’t heard of also—great games, but ones that just happened to be drowned in one of the busiest months of the year. What can I even say about Divinity: Original Sin 2 ($45 on Steam)? I’m 50-plus hours into the game after two weeks and it continues to be one of the most surprising, engaging, and borderline-revolutionary RPGs I’ve ever played. The first Original Sin championed a systems-first approach to the isometric RPG, with deep and reactive combat that played out almost like a puzzle at times. The sequel takes those systems, broadens them, and slaps on an excellent story to boot. It’s wonderful. I’ve confronted a satanic deer and a depressed shark, eaten an arm to find out who it belonged to, communed with ghosts, dodged a hungry kraken, stolen a face and worn it as my own, and so much more. Divinity: Original Sin 2 is on track to be not only one of 2017’s best RPGs, but one of the best RPGs ever made. The original SteamWorld Dig was an excellent Metroid-style adventure, with a twist: You were in a mine and had to dig your way downwards, collecting riches on your way. If you ever played the old Flash game Motherload, it shared a lot of DNA. The only problem with SteamWorld Dig? It was too short. So a sequel was well in order, and I happily sank a bunch of hours into SteamWorld Dig 2 ($20 on Steam) this month. At around 12 hours it’s two or three times as long as the original, and takes you from pickaxe-wielding nobody to a jetpacking, bomb-throwing, pickaxe-of-the-gods super-miner. There are also some excellent platforming challenges tucked away in the game’s corners. Highly recommended. Hob ($20 on Steam) is the first one on this list that’s in my Pile of Shame. I was looking forward to this Zelda-style adventure, which comes from the Torchlight devs over at Runic. It released last week though and I haven’t even booted it yet. Oops. It looks gorgeous though, and the short demos I played at PAX last year (and the year before) definitely intrigued me. There are all sorts of larger-than-life events at play, with you changing the entire world with the help of your giant robot fist—literally changing the world, meaning whole parts of it rise from the void or sink down into it as you activate switches. It’s a cool effect. I’ve heard the game has its fair share of bugs and also some frustrating moments centered around exploration, so consider this a qualified recommendation, but still probably worth a look. EVE: Valkyrie is back, and this time you can play it on a regular ol’ two-dimensional monitor. 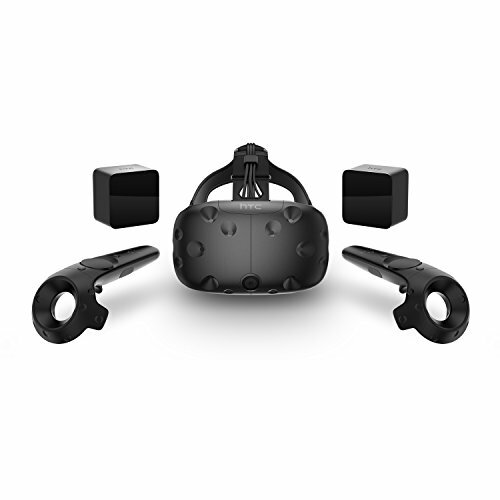 That’s maaaaybe cool news for anyone who doesn’t own an HTC Vive or Oculus Rift headset by now—which I assume is most people. While EVE: Valkyrie - Warzone ($30 on Amazon) doesn’t approach the complexity of something like Elite: Dangerous, I had fun with its arcadey dog fights, zooming through space and trying to draw a bead on an enemy fighter hundreds of meters away. But one of the draws of Valkyrie was the way it utilized VR in the controls—allowing you to look around, target enemies with your eyes, and so on. I’m not sure whether the experience still works on a flat screen and translates as well to a more standard control setup, whether a gamepad on its lonesome or a full HOTAS. But hey, it’s out. The original Total War: Warhammer took me by surprise in 2016. After years of history-centric Total War games, jumping over to a fantastical realm of orcs, dwarves, and vampires seemed like quite a departure. And it was—a great departure, and exactly the shot in the arm that the series needed. For Total War: Warhammer II ($60 on Amazon), Creative Assembly’s added in a more structured and story-based campaign, centered around the Great Vortex. Four races—the High Elves, Dark Elves, Lizardmen, and Skaven fight to control the Vortex and bend it to their own needs, be it for good or evil purposes. 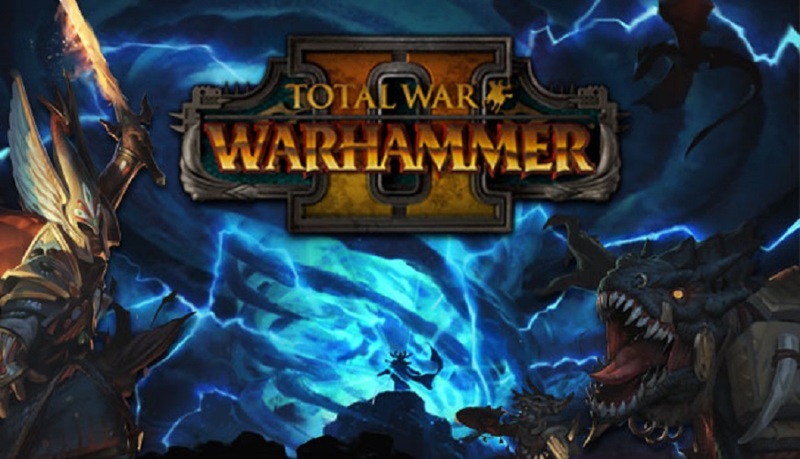 Personally I think the first Total Warhammer worked a bit better and highlighted the differences between the races better, but I still had a great time with this second iteration and put a ton of hours into it. Plus Lizardmen cavalry is just dinosaurs riding on top of other dinosaurs, and if that doesn’t get you excited then what possibly could? Heat Signature ($14.99 on Steam) is the latest game from Gunpoint developer (and former PC Gamer writer) Tom Francis. Where Gunpoint was sort of a side-scrolling version of Hotline Miami, Heat Signature returns the “One-Hit-And-You’re-Dead” brawler to a top-down orientation. It also abandons the espionage aesthetic of Gunpoint for one centered around sci-fi. I haven’t spent much time with it but I’ve enjoyed what I did play. The standout feature? A pause button. You can pause and plan your heists whenever you want—even moments before you crack a wrench into someone’s skull. Your plans will still fall to pieces, but it makes for some excellent action-scene moments. Enemy AI is one of those features I feel hasn’t had enough attention in the last few years, so Echo seems like a novel approach, albeit a bit of a gimmick. I’m hoping I can get around to this one soon. 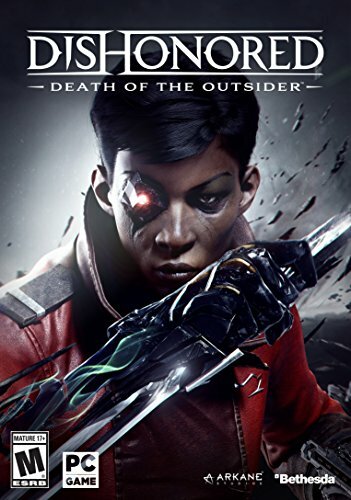 I don’t think Dishonored: Death of the Outsider ($30 on Amazon) reaches quite the same heights as last year’s Dishonored 2, nor does the story live up to its title’s potential, but it’s still damn good. Dishonored’s fully taken over Thief’s stealthy, treasure-collecting mantle by now, and this is a solid victory lap for Arkane. One level in particular, a bank heist, is up there with the best in the series. And hey, at least the PC version works. That’s still more than could be said of Dishonored 2 at launch. Like many games nowadays, Silicon Zeroes ($15 on Steam) hopes to teach you about programming by gamifying it. “See, it’s not like you’re learning to program! You’re just playing a puzzle game!” This tactic started, or at least was popularized, by Zachtronics (SpaceChem, TIS-100, Shenzhen Solitaire) and indeed Silicon Zeroes could be easily mistaken for a Zachtronics production. It’s not, but they share similar sensibilities. The gist: You work at a startup in Silicon Valley in the 1960s and are working to assemble electronics from various bits and pieces, including “Adders,” “Latches,” “Multiplexers,” and so on. You wire these bits together to solve puzzles, and in doing so eventually learn the basic concepts behind how a CPU works. Pretty cool. The difficulty level escalates rapidly, but if you’ve spent time with TIS-100 or Shenzhen you should feel right at home. Lots of Hotline Miami-style action this month. Ruiner ($20 on Steam) is the other game taking cues from those sunset-soaked vistas, translating them into a dark and gritty cyberpunk world. After maybe two hours with it I think Ruiner’s a bit difficult to get into—both the story and the fighting. Stick with it, though. The combat especially improves once you’ve got a handle on the weapons, the controls, and the time-slowing dash maneuver. You can pull off some amazing feats against incredible odds once you know what you’re doing. And the aesthetic just drips synthwave.